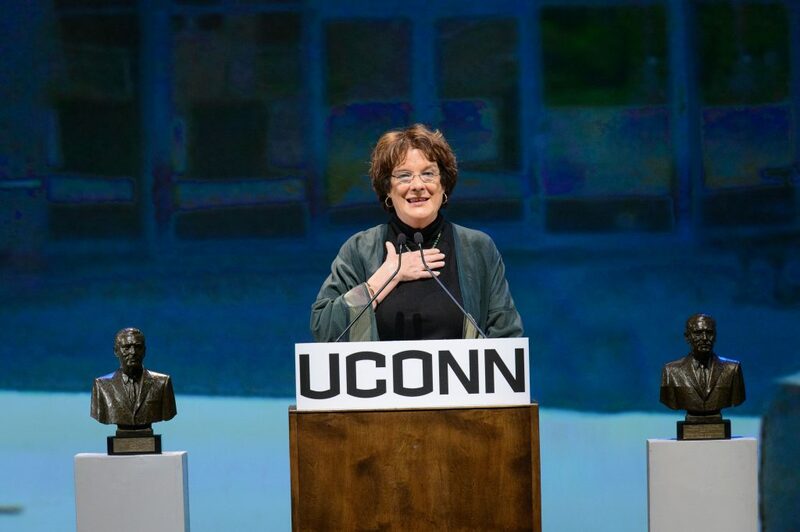 the seventh biennial Thomas J. Dodd Prize in International Justice and Human Rights on October 15, 2015. William Jefferson Clinton, the first Democratic president in six decades to be elected twice, led the U.S. to the longest economic expansion in American history. On October 15, 1995, he joined Senator Christopher J. Dodd, Governor John G. Rowland, and UConn President Harry J. Hartley in dedicating the Thomas J. Dodd Research Center. 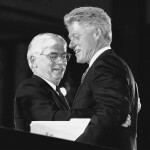 President Clinton’s words that day, along with his leadership in office, inspired the Dodd Center in its efforts to preserve and extend the legacy of Sen. Thomas J. Dodd’s fight against the infringement and suppression of human rights in the United States and abroad. After leaving the White House, President Clinton established the Clinton Foundation, which today works around the world to improve global heath and wellness, increase opportunity for girls and women, reduce childhood obesity, create economic opportunity and growth, and help communities address the effects of climate change. Through its many initiatives, including the Clinton Health Access Initiative, the Clinton Climate Initiative, and the Clinton Global Initiative, the Foundation has pioneered innovative and collaborative solutions to the world’s most pressing human rights and environmental issues. 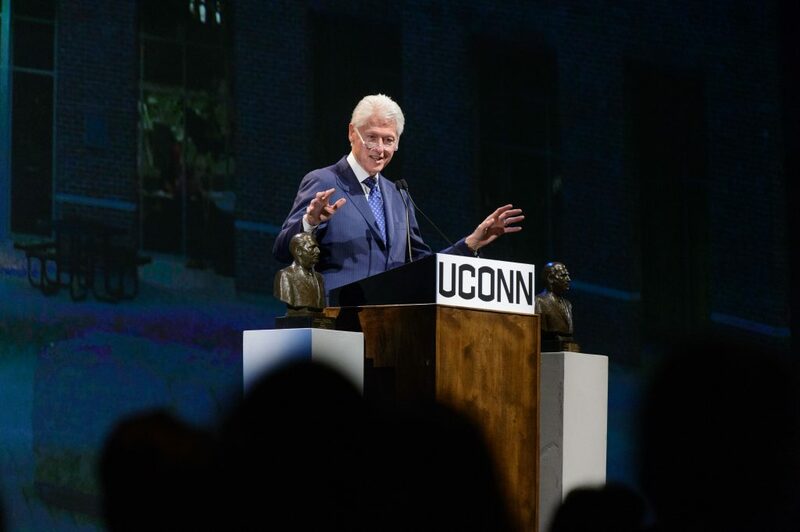 Through his ongoing work to improve the lives of millions of people around the world, President Clinton continues to be an inspiring leader for international justice and human rights. Working in Senegal, Guinea, Guinea-Bissau, Mali, Mauritania, and Gambia, Tostan employs over 1,000 people and promotes literacy and community engagement primarily in rural regions. Tostan’s innovative approach, called the Community Empowerment Program (CEP), is rooted in the belief that every human being has a fundamental right to human dignity. Developed by Tostan founder Molly Melching, the CEP empowers communities and individuals to change their lives by sharing their understanding of human rights and responsibilities, learned through non-formal education sessions, with other interconnected groups and social networks. Grounded in human rights values and employing methods that foster mutual respect, inclusivity, and sustainability, Tostan has impacted about 2 million lives in the areas of health, education, environment, governance, and economic growth. Through their work empowering communities, fostering democratic practices, and promoting understanding of human rights, Tostan is building a culture of human rights from the ground up.